This is a sponsored post for Price*s Pimiento Cheese Spread. All opinions and texts are my own. YOU GUYS! I think I have a new favorite dip. 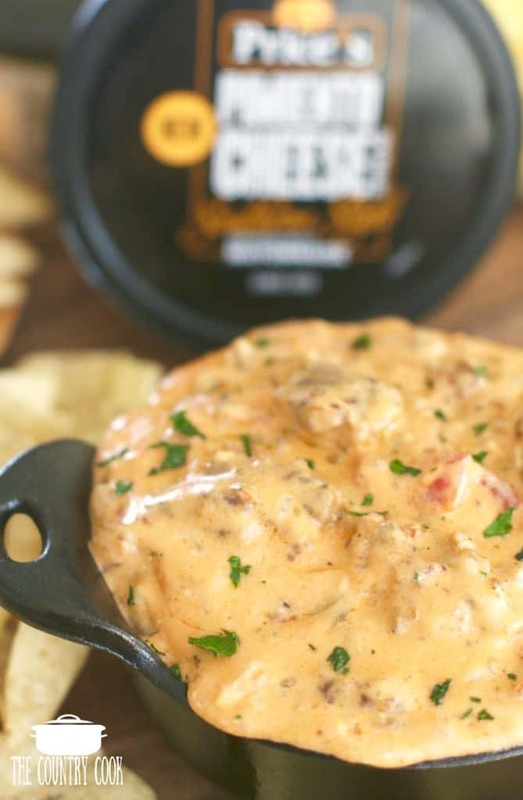 I made this Pimiento Cheese Sausage Dip with inspiration from Price*s Southern Style Pimiento Cheese spread. I knew it would be good – but holy cheesiness, Batman – it turned out even better than I had expected. We just kept eating it and going back for more. And more. It’s almost amazing in its’ simplicity. 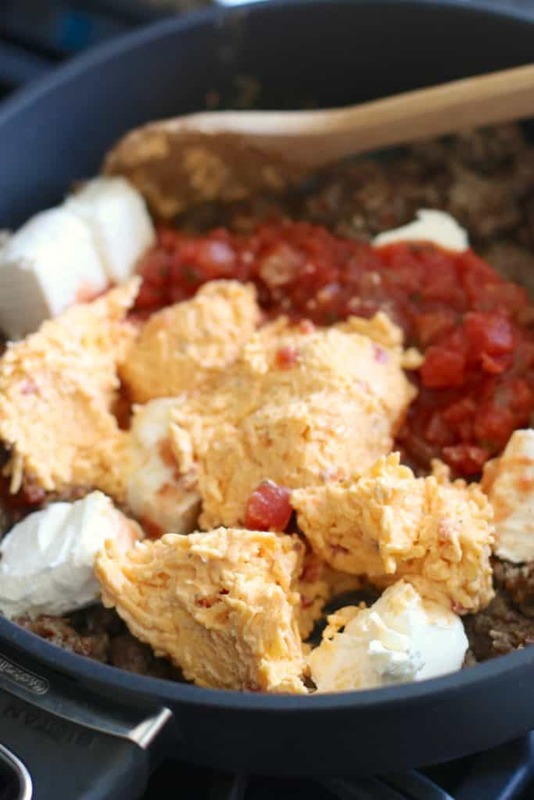 The Price*s Pimiento Cheese spread really adds all the flavor. So instead of just using a plain cheddar cheese – using the pimiento cheese brings a ton of additional flavor to the party. It has all the seasonings and spices already added! 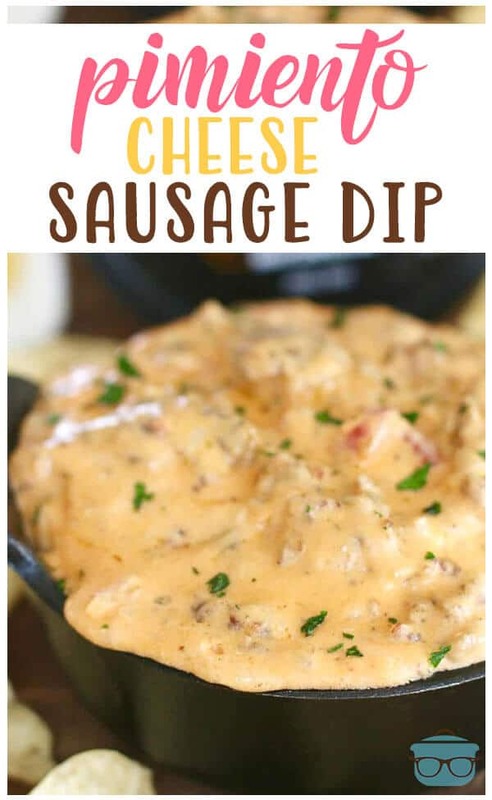 This dip is creamy and savory and only has a very small kick of heat from the hot ground sausage. 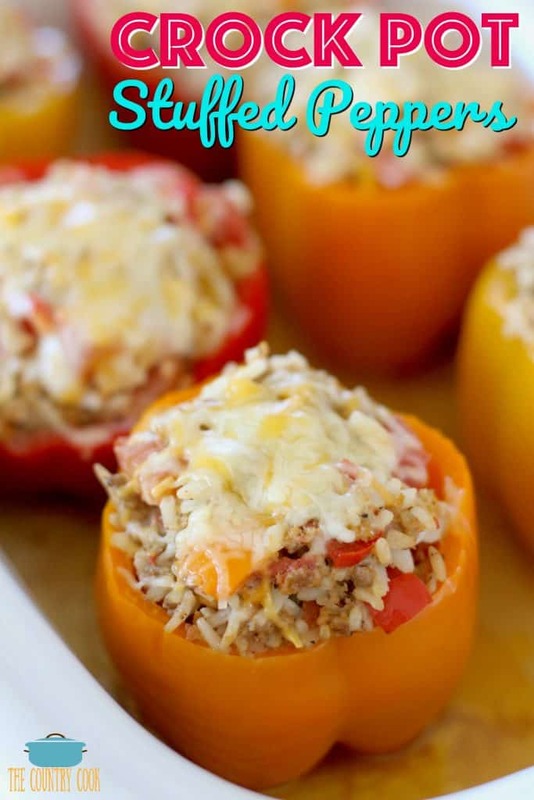 Now, you could really add a lot more heat to this dish if you used a hot salsa and also used Price*s Southern Style Jalapeño Pimiento Cheese Spread. 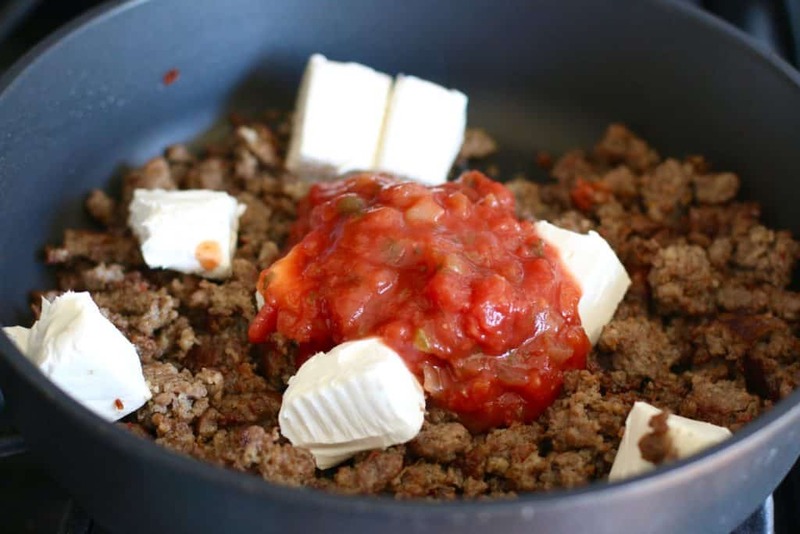 And you can totally make it very mild by using a regular, non-spicy ground sausage as well as a mild salsa. Whatever your tastebuds prefer. It’s that easy! 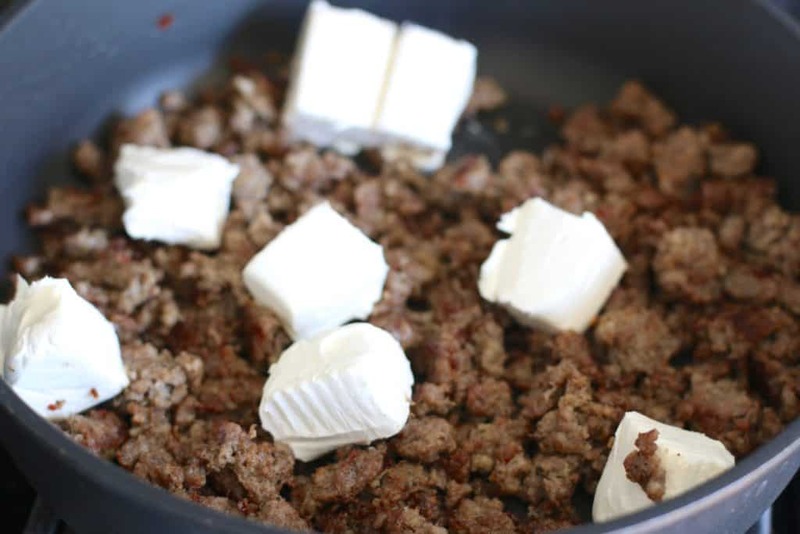 Cook and crumble ground sausage until no longer pink. Drain excess grease and put ground sausage back into pan. Add in cream cheese. 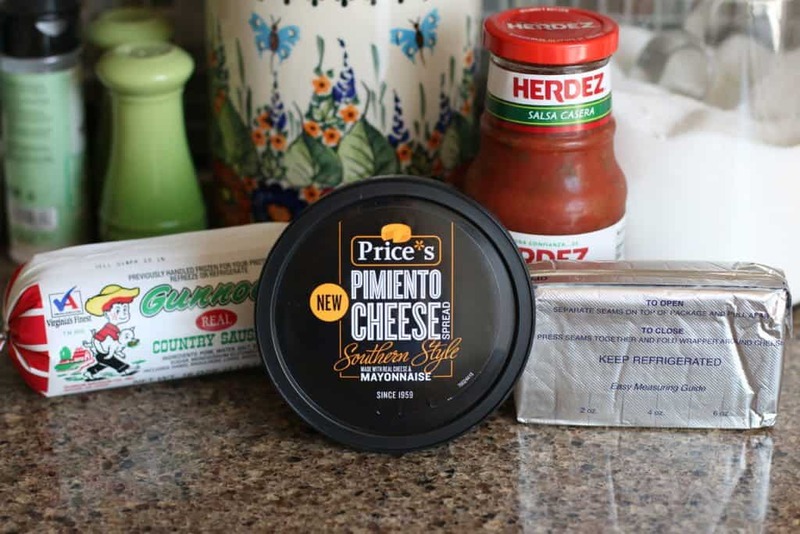 And finally, stir in Price*s Southern Style Pimiento Cheese spread. Cover and allow cheeses to melt slowly over low-medium heat. Stirring frequently. Note: Do not allow mixture to come to a simmer. Once mixture is combined and melty, serve immediately. Note: you can keep this mixture in a small crock pot on the “keep warm” setting while serving. 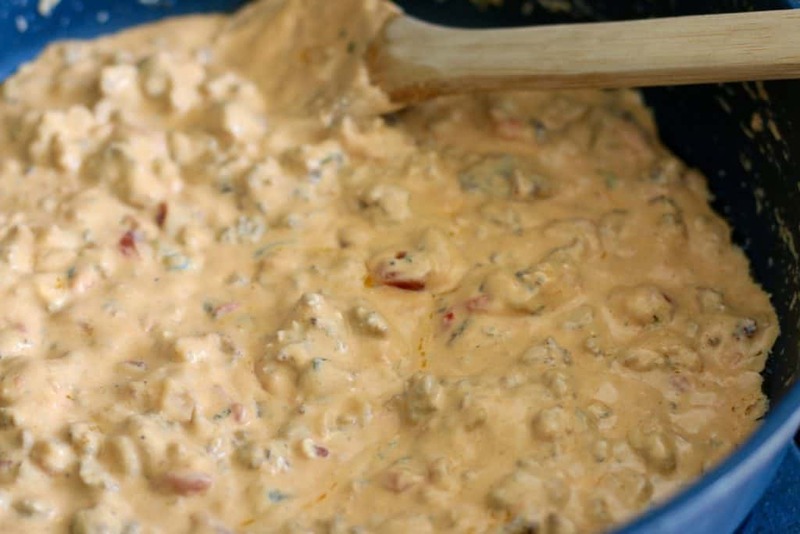 Pimiento Cheese Sausage Dip is always the surprise hit at parties! 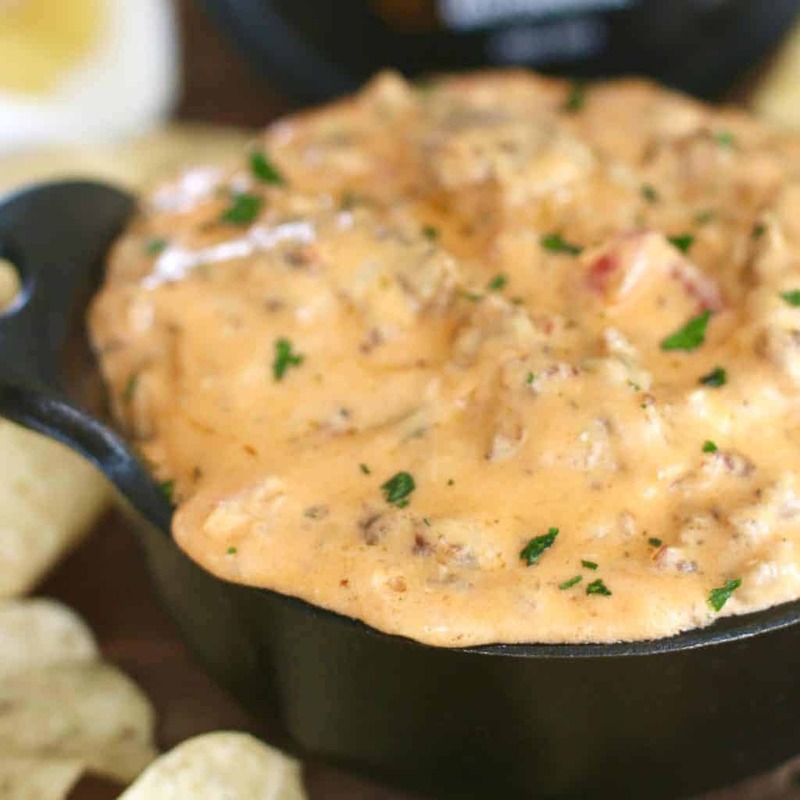 It adds amazing flavor and a new twist on the usual sausage cheese dip! 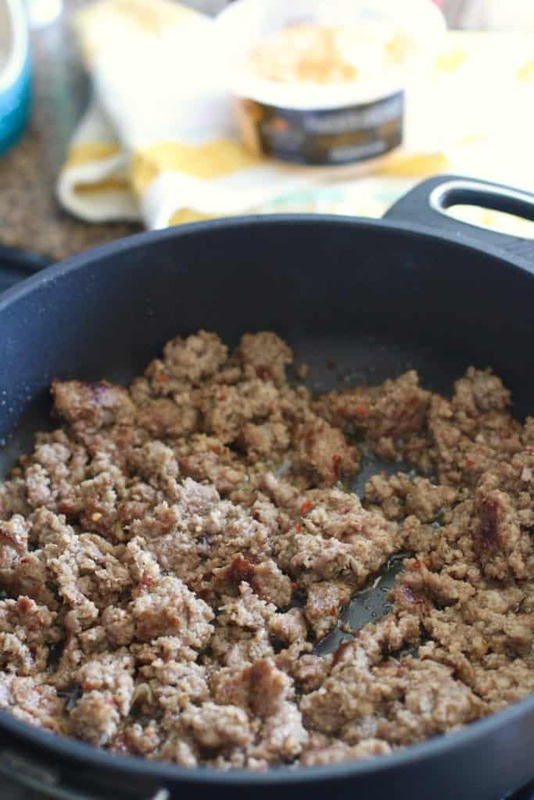 Drain excess grease and put ground sausage back into pan. Add in cream cheese and salsa. Then stir in pimiento cheese. Cover and allow cheeses to melt slowly over low-medium heat. Do not allow mixture to come to a simmer. You want it all to melt together slowly. Once mixture is combined and melty, serve immediately. You can keep this mixture in a small crock pot on the "keep warm" setting while serving. Thanks so much! I just couldn't get enough of this stuff! It is a must try! All I can say is…YOU ARE BRILLIANT! =D I have NO doubt I could gobble up this whole dish. I love pimento cheese and can almost taste this delectable dish. Brandie!!! I am so mad that you came up with this idea before me! It sounds AMAZING. I can't wait to make it! That looks so darn good! The only problem is there is no way I could stay out of it! Mary & Carlee- It is Ah-mazing!! Y'all have to try it!! The Cheese Sausage Dip looks awesome. I am going to show it to my teammates. Thank you for the idea! want to serve this at a work Christmas party, but need a large amount! Can it triple and go in a larger crock pot??? 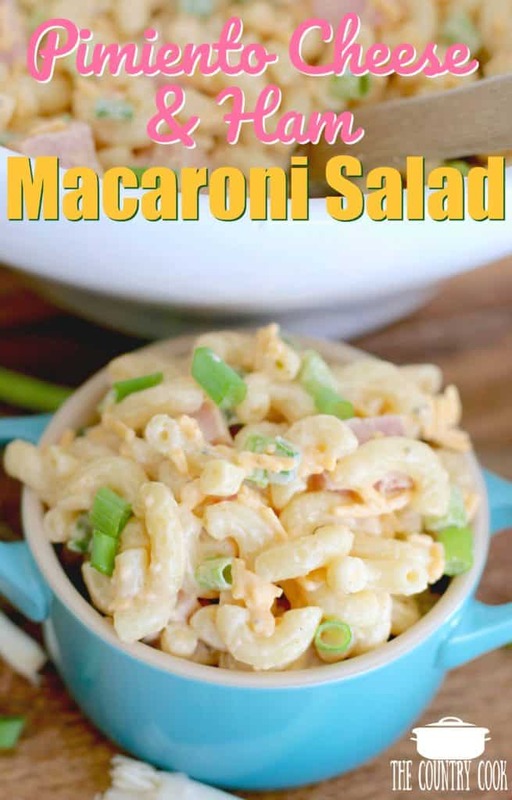 Can I make this the night before and reheat in the crockpot next day. I am cooking for my friends wedding and this looks delicious.